Sofia – Hotels in Sofia. Maps of Sofia, Photos and Reviews for each Hotel in Sofia. Looking for a hostel in Sofia? Look no further, all the good deals in Sofia are on Dorms.com. Like thousands of other people every month, book your hostel securely at the best price in all neighbourhoods of Sofia. 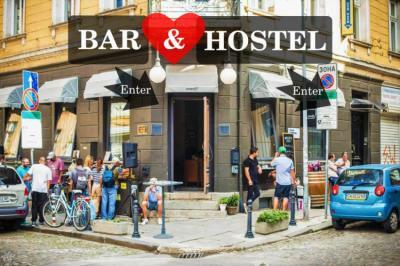 On this site, you can easily find a hostel downtown, in a trendy neighbourhood; a hostel in the student- university district, close to bus or train stations, airports or major attractions of Sofia. Surrounded by amazing huge park, the bustling historical part of Sofia is just a 20 minute walk. Ivan Vazov Theater is 2.3 km away European Union Station, James Baucher Station and NDK Station all under 1 km away. Vasil Levski Stadium Station is 2 km Cafes, supermarket, restaurants, organic food shop and bakery, local vegetable market, the biggest swimming pool in the city, gyms, bars & nightclubs all nearby. The National Palace of culture is a 15 minute walk . Sofia Airport is 8 km away. Situated within 200 m of Banya Bashi Mosque in Sofia, Hostel №1 in Sofia. The hostel is around 300 m from Council of Ministers Building, a 5-minute walk from Presidency and 500 m from Archaeological Museum. To get to the hostel from the bus station and railway station can be by taxi, tram or on foot, because the distance is only 1 km. 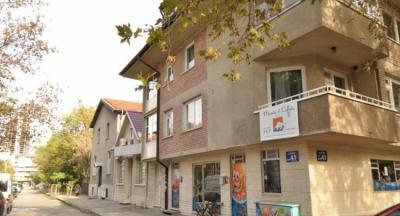 The hostel is located in the very center of Sofia, in close proximity to all the sights of Sofia. Nice cosy place, bit of a long walk into town but there are trams you can catch. Beds comfy and a nice common room atmosphere. We enjoyed our stay. It was very cozy, and the view was lovely. The feeling of what you should exactly feel when travelling. The place is clean and tidy. The wi-fi was fast, and the people working there were very kind and helpful. Location is real great too. Its close to central, to stations, a supermarket. Almost everything. Such a wonderful stay. Beautiful location! The staff were super nice and attentive. The room was clean. The beds were comfortable. Very authentic feel. Will definitely stay here again! !